The Real Reason Your Golf Game Doesn’t Improve! https://www.gregsmithgolfcoach.com/wp-content/uploads/2017/01/why-is-it-so-hard-to-get-better.png 473 848 gregprogolf http://www.gregsmithgolfcoach.com/wp-content/uploads/2016/05/GSGC-logo-150x80.png gregprogolf2017-01-18 12:08:042017-01-26 22:02:35The Real Reason Your Golf Game Doesn't Improve! 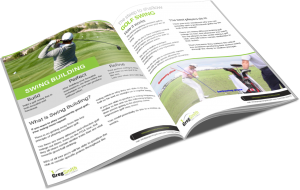 What Is The Best Golf Swing Method? https://www.gregsmithgolfcoach.com/wp-content/uploads/2016/12/Swing-method.png 477 851 gregprogolf http://www.gregsmithgolfcoach.com/wp-content/uploads/2016/05/GSGC-logo-150x80.png gregprogolf2016-12-06 22:07:532017-01-26 21:57:46What Is The Best Golf Swing Method?